…the slight crunch of the almond with the fragrance of the cardamon, wow! This recipe is my favourite! South Australian roast almonds combined with aromatic cardamom, one of my favourite spices, make this risotto an absolute winner. I love it with cooked chick peas, grated carrot and zucchini, all topped with a dollop of Greek yoghurt. 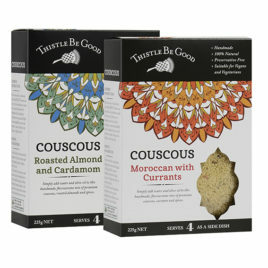 ...the classic Moroccan couscous with juicy Australian currants. 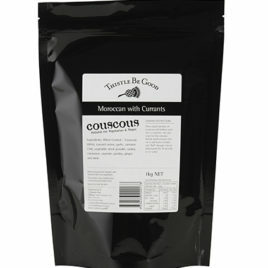 This is our biggest selling couscous – and rightly so! It contains juicy Australian currants that are sweet and delicious, combined with just the right amount of spice to make this a dish that you could happily eat for lunch every day. 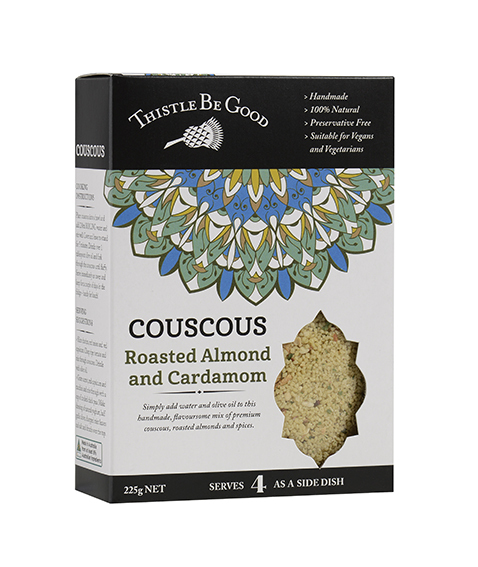 I cook the whole packet, then I keep it in the fridge and mix some into a big salad or roasted veggies for lunch – it travels beautifully. 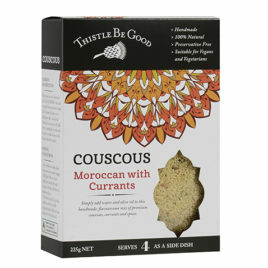 It is also delicious to have with a hot meal - lamb tagine is perfect! 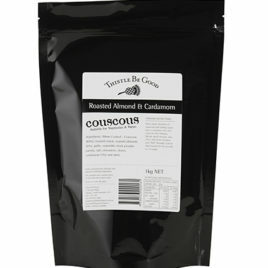 ...the slight crunch of the almond with the fragrance of the cardamon, wow!